Are you one of the many Lafayette TMJ sufferers? If you are affected by Temporomandibular joint or TMJ disorder, you know how the pain and discomfort can impact your life. Gordon West DDS, Cosmetic & General Dentistry TMJ treatment in the Boulder area has helped countless grateful Lafayette TMJ patients manage their TMJ disorder. Many Longmont, Louisville and Broomfield TMJ patients first sought a possible TMJ diagnosis after trying unsuccessfully to relieve their frequent headaches. Since opening Gordon West DDS, Cosmetic & General Dentistry in 1998, we have discovered that many people do not realize they have TMJ disorder because it can be difficult to pinpoint exactly what is causing the pain. 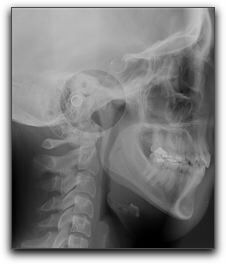 A Colorado TMJ specialist can properly diagnose your specific TMJ issues and recommend an effective course of action. Because a comprehensive treatment plan is most successful, we work hand-in-hand with a network of Boulder TMJ specialists including ENT doctors, neurologists and physical therapists. There are many facets to this often misunderstood disorder. If you are suffering from jaw pain, we recommend a consultation with Dr. Gordon West at Gordon West DDS, Cosmetic & General Dentistry in Lafayette. At Gordon West DDS, Cosmetic & General Dentistry, we take jaw pain seriously.